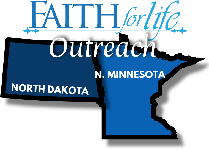 Faith for Life has a desire to spread the good news of Jesus Christ to a needy world. Eighty percent of those who come to Christ are reached as a result of the printed page. Our hope is to evangelize the region, nation, and world, one mailbox at a time. 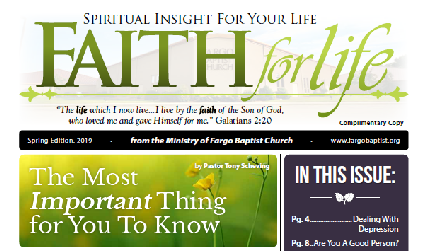 We are currently reaching out to homes in the Fargo-Moorhead area, with certain printings covering all of North Dakota and the upper half of Minnesota. We have received many testimonies of people impacted and some saved as a result of the Faith For Life. Copyright ©2019 Fargo Baptist Church. All Rights Reserved.